We now have our new 2018 crop Sainfoin Seed ready. It is limited in quanity so order NOW! Highest Quality �Delany Sainfoin Seed For Sale,With Purity and Germination Rates that are Hard to Beat! We have the largest stock year-round. Delany and Shoshone Sainfion Seeds FOR SALE�at price that can't be beat! Sale Price Now Is $2.50 per pound. There is a 50# minimum for and order. 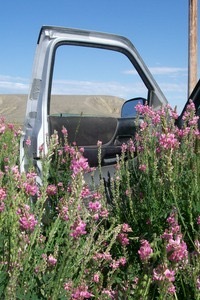 WHAT IS THE BENEFITS OF OUR SHOSHONE VARIETY OF SAINFOIN SEED? when compared to "Remont" Variety. Shoshone was jointly released in 2006 by the College of Agriculture Experiment Stations at the University Of Wyoming, Montana State University and the USDA-NRCS. 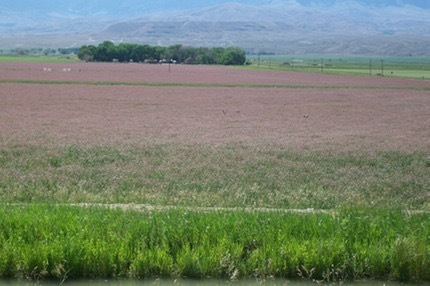 Foundation Seed is Maintained by the University of Wyoming, Seed Certification Service In Powell Wyoming, and is the seed used to establish our Shoshone Variety of Sainfoin that produces our high yeild Shoshone Sainfoin Seed. Our Angus Beef Cattle love it! They prefer it to alfalfa and we love it because it does not need fertilizer and cuts our cost of feed significantly. Please Make checks payable to�Mark Schneider.